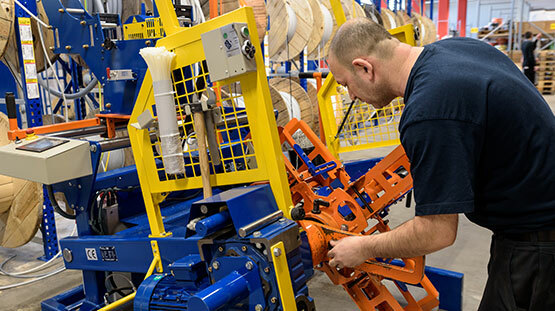 To help electrical contractors become effective prescribers in high-growth markets, Rexel offers them simple, affordable, and efficient solutions. The most innovative digital solutions today focus on energy management, energy efficiency, renewable energies, and connected buildings. The home automation market developed nearly 20 years ago out of a solution provided by electrical manufacturers using fixed-wire technology and the interoperable protocol KNX*. It required a rather complex installation procedure encompassing the full range of uses (alarms, automation, lighting, heating, openings) at a relatively high cost. Its market was therefore limited to new builds or heavy renovation works, with a modest growth rate. The digital revolution completely transformed this market. Radio-operated connected objects allow the same uses as traditional fixed-wire ones, but their installation is much easier and less expensive. Their main advantage is that they can be installed sequentially: the end customer can start with central heating controls for example, then progressively add new items. The market, evaluated at around 500 million euros in France in 2017, is growing by 50% per year and should reach 1.5 billion euros in 2020. Energeasy Connect is a home controller developed by Rexel. Available in “ambiance” or “modular” versions (i.e ready to incorporate into the electrical board), it enables users to manage their equipment locally or remotely. It can be radio-operated as well as adapted to a fixed-wire installation. A democratization tool for the connected home, it allows users to discover home automation with an initial application at a very affordable price and then progressively add other uses, including automating existing equipment. As it is interoperable, Energeasy Connect functions with most existing protocols, which still vary considerably from one brand to another. Launched in 2015 as a heating management solution, Energeasy Connect then added opening controls, followed by almost all of the connected objects available in a building. New applications are added each year: surveillance cameras in 2017 and soon the voice operated connected objects that will enter the market in 2018. Looking ahead to 2020, the most promising trends are teleassistance, leisure and entertainment. In the near future, AI applications will enable controllers to anticipate or even suggest new uses. While installing Energeasy Connect does not require any specific technical skills, Rexel has set up an assistance program that helps electrical contractors master this solution and supports them in their sales approach. It offers various assistance levels, depending on the type of project, from a radio-operated single or multi-use request to a global solution based on radio or KNX*: a website, more than 40 installation tutorials, a home automation forum, a hotline, a technical support team, etc. Concurrently, Rexel is promoting Energeasy Connect among consultants (builders and promoters), as well as end users: a website already allows a community of over 8,000 users to keep abreast of the latest connected home trends and products. “The Grid,” Rexel's chat forum, now includes a Home Automation section. In 2017, its 480 members opened 19,658 chat sessions. An “idea box” has been created to collect suggestions for developments, submitted to the forum members for vote. 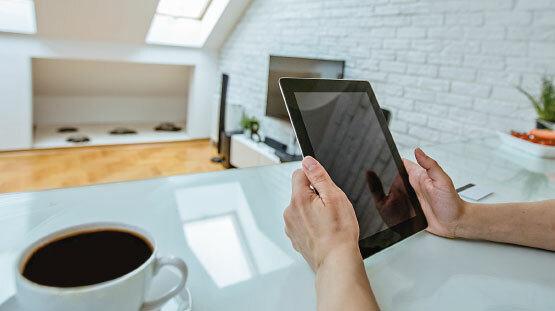 At the end of 2017, nearly 8,120 installations had been completed by 4,500 installers, including over 50,000 connected devices, an average of almost five devices per installation. Thermal comfort still represents a major part of setups, while opening management and lighting control continue to develop. The addition of new products to the Energeasy offering is based on the needs and expectations expressed by the field, installers and end users, Home Automation forum users, or technology monitoring at trade fairs. To achieve strong positioning in this booming market, responsiveness is key. Rexel was thus the first to offer a multi-protocol and multi-brand home controller, and to incorporate leading B2C brands such as Somfy, Nest and Netatmo. Last but not least, the recently announced online release of a version featuring compatibility with Legrand, the leading equipment provider in France, strengthens the announced interoperability and establishes a unique positioning for this solution in the home automation market. 3i (Inexel Integrator Installer) is a democratization tool for traditional fixed-wire home automation. Based on an installation diagram and the positioning of the equipment, 3i programs all the modules and assists the installer with their setup. 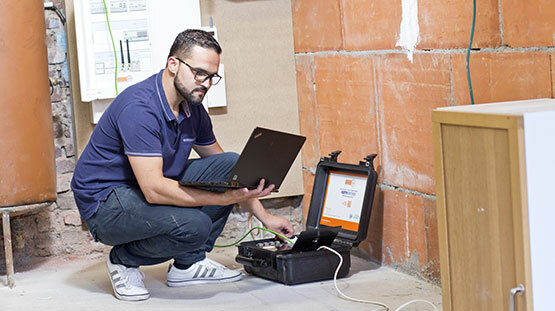 Since 2017, 3i certified professionals have tools enabling them to upgrade their installations. By the end of 2017, there were 1,000 active 3i installers in France. The milestone of 500,000 electric vehicles in circulation in Europe was reached in 2017, with over 150,000 vehicles registered during the year, a 43% increase versus 2016. Norway is leading the way, followed by France, Germany, and the United Kingdom*. This success is largely due to the public support benefitting the sector. Currently present mainly in the individual residential market, Rexel has extended its offering to the collective residential and commercial markets with solutions scaled to cover the number of cars to charge, the requisite level of affordability, and the type of powering, whether classic or solar. These packages include the assessment of existing needs in order to find the most appropriate solution, completing subsidy applications, obtaining lease financing if needed, and setting up the system itself via contacts with certified installers (electric panel configuration and connection, safeguards, cable dimensioning, putting into service and getting started, dashboard). Users and managers can access associated services such as geolocation, booking, remote maintenance (hotline contacts displayed at the charging point with 24/7 teleassistance) or online payment via a service operator. In 2017, Rexel’s online sales reached 14% and exceeded 21% in Europe (via webshops and EDI), a 13% increase over the previous year. Beyond this growth, the inclusion of digital in the Group’s procedures and the practices has grown, representing a major aspect of its transformation. The SAP Hybris platform, rolled out in France, Germany, Austria, Sweden, and the Netherlands in 2015, was extended to Norway, the United Kingdom, the United States, and Canada in 2017. In the United Kingdom as well as in the United States, where online sales are still emerging, the roll-out of the platform should help e-commerce take off. Belgium and Finland should join the platform by late 2018 / early 2019. Two new features were launched in the webshops in 2017: card payments and automated account creation. 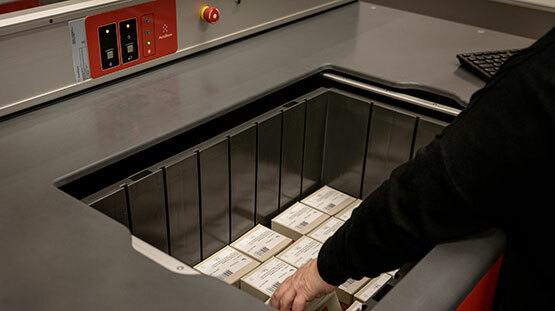 In order to open an account and place orders, the digitized procedure is now automatic and immediate. This new feature has been rolled out in Germany, France, and Sweden. In Sweden, where feedback has been available, the result is extremely positive with over 2,000 accounts opened. It will be extended to Austria, the Netherlands, the United Kingdom, and Norway in 2018. Content improvement varies from one country to another, depending on their digital maturity. In the United Kingdom, for example, where webshops were recently rolled out, major efforts were made to define the product offering in order to establish a coherent and exhaustive presentation in line with customer expectations. Elsewhere, content is being progressively enhanced with products presented via 3D or video. In more digitally advanced countries, more complex content is being developed, designed to showcase the products and optimize their online referencing. The web thereby feeds into procedures and working methods, from product range to delivery, transforming the existing organization and sales approaches. Netstore, Rexel's e-commerce website in Belgium, was designed as the customers' personal assistant. Considerable effort has been put into the design of its ergonomics and navigation. It enables users to obtain advice from a specialist via live chat, check the details and price of a product as well as its availability in real time, place orders and track each step of delivery. It has helped increase online sales from 20% to 34%. 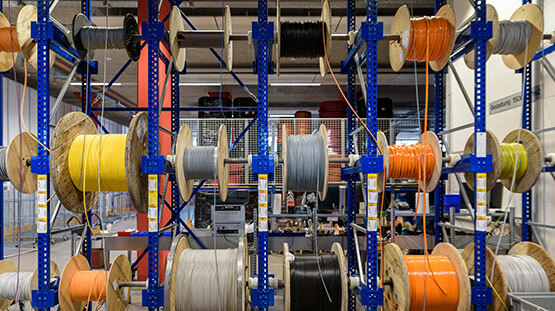 New chat forum launched by the digital team at Rexel's German subsidiary, “Elektrohelden” is a customer information and assistance service, offering FAQ, discussions on market trends, installation tutorials and information on events organized at the branches. In Switzerland, Rexel offers its customers the possibility of configuring power plug or switch modules online via its website, according to their needs. 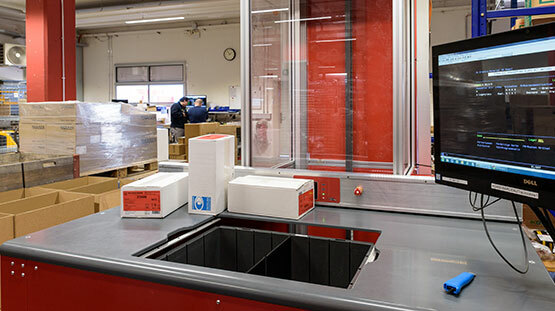 The configured kits are prepared and delivered by the logistics center or the branch, offering high added value, and allowing installers to save precious time. 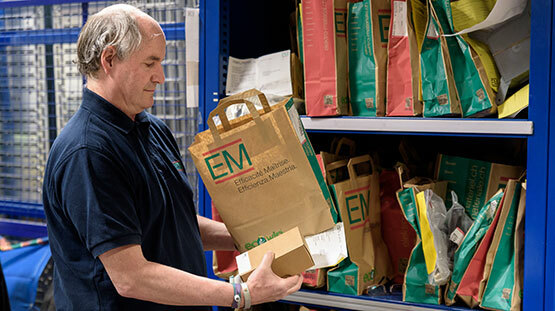 Electronic data interchange enables our key account customers to automate their product viewing, their orders, their stock management and their billing. Optimizing these actions requires an increasing integration of processes and practices. The EDI platform in Europe has been designed using the documentation and modelling of the existing system in the Group German subsidiary, which is very advanced in this field. It was then extended to France and Belgium. The Punch-Out* function embedded in the platform now supports all the protocols available in the market, allowing Rexel to connect more customers. In 2017, sales increased by 12% in Germany and 8% in France. Another key fact in 2017: a very promising EDI platform was rolled out in the US. The Middleware and e-commerce skills centers were created to mutualize Rexel's expertise and facilitate the recruitment of highly skilled personnel in high demand. These young, multicultural teams are based in the US (Dallas, Texas and Shelton, Connecticut) and France. They comprise about 130 people, offshore teams included. These centers work in Agile mode, with short cycles, and use the “DevOps” approach with permanent and automated iterations between developers and operational teams for faster integration of the constraints and requests from the various stakeholders. The purpose of the e-commerce skills center is to identify the needs of local teams, develop the relevant functionalities, and deliver them in Agile mode. It is also in charge of adding new countries to the e-commerce platform and offering them support if needed: site performance, operations, application support resources. The Middleware center accelerates and facilitates docking between the shared e-commerce platform and the ERPs, which differ from one country to another. It provides the countries with architecture design and project management, development and support. It also handles the ERPs' Cloud integration, following Ireland's successful transition. The supply chain also benefits from digital technological innovations. 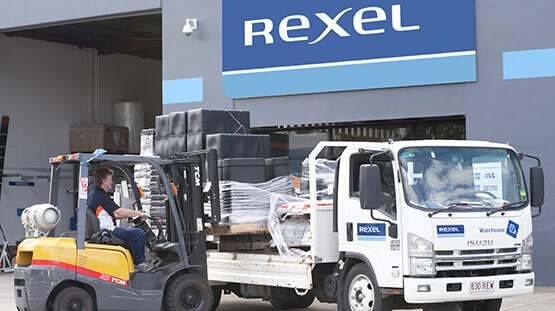 After transforming stock management and warehouse organization, digital is helping Rexel improve services to customers, whose expectations are now similar to those of private individuals regarding e-commerce actors. Logistics centers now manage more product references, with shorter product life cycles and reduced delays between order and delivery. Their fundamental axiom remains delivering the right product, at the right place, at the right time, but its execution still poses a real challenge that depends on information management, automation, and operational excellence to constantly improve supply chain responsiveness and delivery performance. 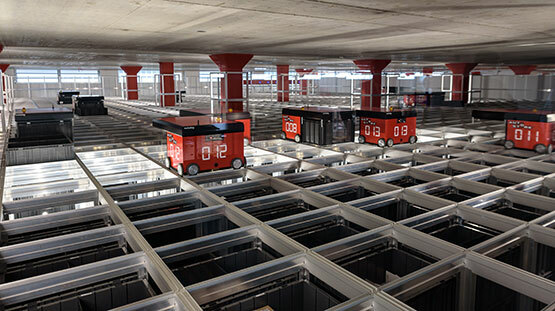 Warehouse management systems (WMS) are aimed at managing load variations in order to streamline supply chain flows. 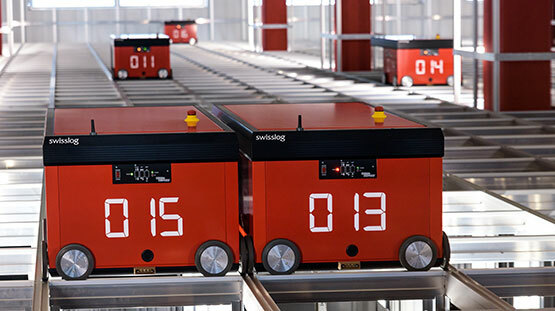 They are currently evolving toward machine learning systems comprising predictive stock management, which minimizes delays between product manufacturing and customer delivery. 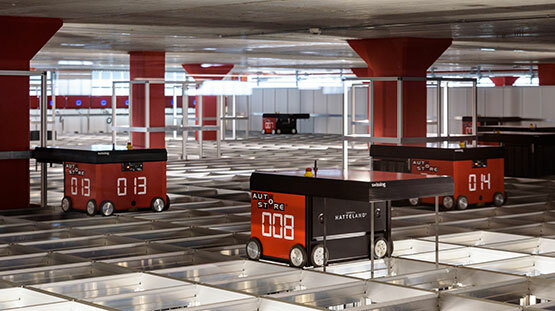 Warehouse automation is another logistics performance tool. 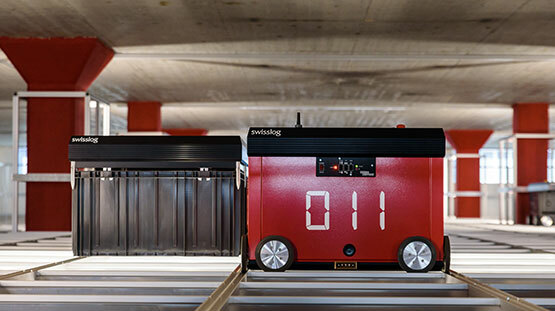 Rexel now has four automated structures: two are located in Switzerland (Geneva and Basel), one in Sweden (Jordbro) and one in Norway (Langhus). 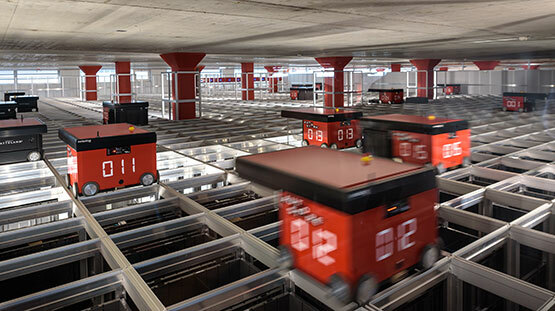 In these “Autostores,” storage and picking are entirely automated: thousands of boxes are stacked in a metallic structure where automated forklifts pick up selected boxes and bring them to the operator in charge of preparing the orders. The Lean approach in effect across the Group is the main pillar of operational excellence. This continuous improvement approach aims to enhance safety, productivity, and customer satisfaction simultaneously. Most of all, it relies on employee awareness, training, and engagement. 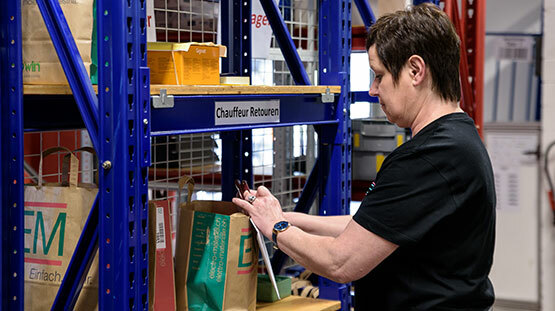 During its most recent move, Rexel's Basel branch acquired an Autostore, an innovation so far only used by logistics warehouses, in operation since January 2017. In this major branch stocked with approximately 30,000 product references, customers can pick up their orders or have them delivered. 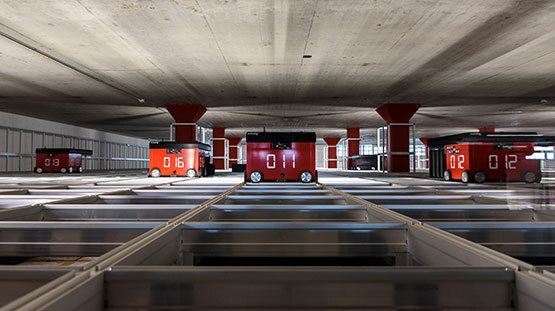 The Autostore is placed on an upper story, and products are delivered via an elevator to four work stations located at street level. The delay between the moment when the operator selects a product and the moment when they receive it, is 45 seconds. 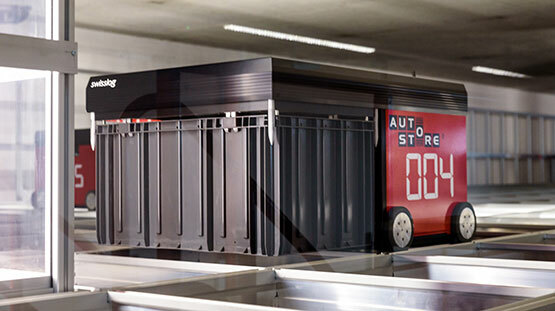 The customer can pick it up a few minutes later in the self-service zone, which is open during the day as well as at night with an access code. 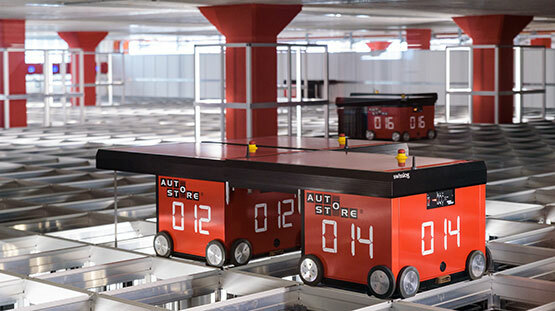 In a country where real estate and labor costs are particularly high, the space and productivity gains offered by the Autostore are significant. In 2017, the five British Rexel subsidiaries merged under two banners, Rexel UK and Denmans. The supply chain structures were also regrouped, switching from 27 to 13 logistics centers, while maintaining a dense network. This reorganization has clearly improved customer service: they now have access to 12,000 product references versus 2,000 previously, as well as optimized delivery services. Rexel's customers expect it to deliver a high level of service and performance equaling that of BtoC e-commerce in terms of transparency, convenience, speed, and reliability. Many of them work in urban areas, where traffic is often difficult. 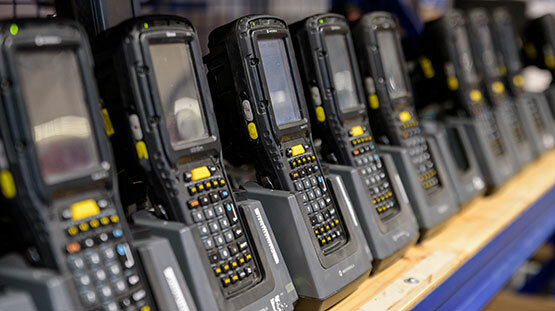 Rexel has therefore developed digital services that meet their expectations and constraints: order and delivery tracking, electronic delivery certificates, return procedures, alternative delivery or goods pick-up models. From Norway to Switzerland, from Austria to France, each country offers a wide array of services reflecting its digital maturity. Following a survey showing that its customers wanted to pick up their orders outside branch opening hours, Rexel Belgium installed 31 containers accessible any time of the night or day with a personal code. Located mainly within branch premises, but also at major highway intersections, they are under video surveillance. Orders placed before 7 p.m. are available the next morning from 5 a.m., Saturdays included. In 2017, the “Night & Day” service represented a quarter of “Call & Collect” orders. In one year, the number of customers increased by 43% and sales by 53%. In 2017, Rexel Austria implemented a TMS (Transportation Management System) enabling all its carriers to offer a “Track & Trace” service for their deliveries. All its customers now benefit from total transparency over the “last mile”, with electronic proof and photo of the delivery. 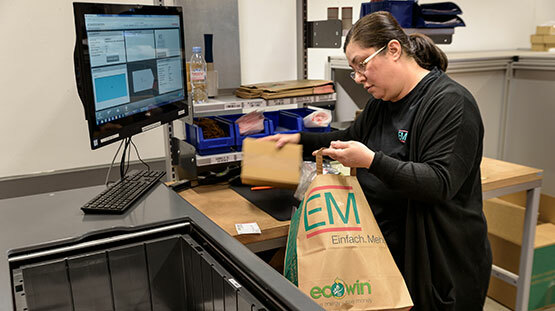 The new system, which is Cloud-based and operated via a mobile app, has also helped simplify back office procedures and facilitated carriers' performance reporting.